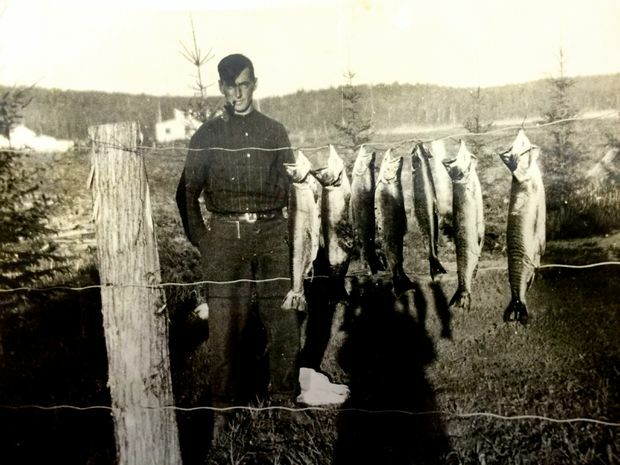 Tom Thomson with a catch of brook trout in front of Mowat Lodge circa 1914. Was it really an accident, as the first ruling had it? Was it suicide, as the earliest gossip had it? Or was it … murder, as has long been the speculation? Disturbing questions about the fate of Tom Thomson, Canada’s most famous painter, arose almost immediately among the locals of Canoe Lake following his disappearance on July 8, 1917 and the discovery of his floating, decomposing body eight days later, a bad bruise on the side of his head and fishing line carefully wrapped more than a dozen times around an ankle. “Who met Tom Thomson on that stretch of grey lake, screened from all eyes, that July noon? “Who was it struck him a blow across the right temple – and was it done with the thin edge of a paddle blade? – that sent the blood spurting from his ear? Davies, who never met Thomson, was voicing the concerns of Algonquin Park ranger Mark Robinson, who had been a close friend of the artist. Robinson’s journals, letters and taped reminiscences are considered the primary source for all of the investigations of Thomson’s death. The most significant secondary source would be the work of Judge William T. Little, whose investigations in the 1950s and 1960s – including the recovery of human remains from an unmarked grave off to the side of the tiny Canoe Lake cemetery – led to a CBC documentary, Was Tom Thomson Murdered? as well as Little’s 1970 bestseller, The Tom Thomson Mystery. Since then, there have been a multitude of books, novels, poetry, songs, even a movie (The Far Shore, 1976). This year alone has seen a novel, Tom Thomson’s Last Bonfire by Geoff Taylor, and a book by Tim Bouma, Tom Thomson: Journal of My Last Spring, that grew out of Bouma’s Twitter account (@TTLastSpring), which fictionally traces the final days of the artist. 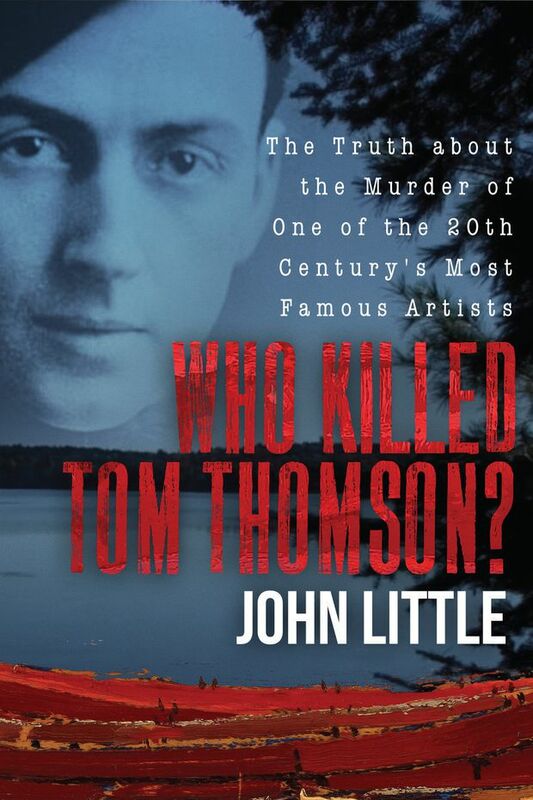 In August, John Little’s book Who Killed Tom Thomson? : The Truth about the Murder of One of the 20th Century’s Most Famous Artists will be published (Thomas Allen & Son). John Little is the son of William Little, who died in 1995, convinced to the end that Thomson had been done in by another Canoe Lake resident. What the younger Little has done is take a novel approach to a mystery that seems, at times, to have been examined to death. First, he has done an admirable job of assembling the actual evidence, the hearsay evidence and all the various theories, from solid to ridiculous, concerning the death of Tom Thomson. His research he then turned over to the two former detectives whose professional careers were taken up solving difficult crimes. The police, in essence, were being handed a Rubik’s Cube of confusion and intrigue assembled by a long list of amateur investigators. Little wonder the story so fascinates Canadians. It is not just the painter’s majestic, brilliant art, but his unknown end. Tom Thomson has been murdered by the owner of the lodge where he stayed, by a local cottager with whom he had argued, by poachers and even by German agents seeking to sabotage the troop lines in the final months of the First World War. He has been killed by a water spout that picked him and his canoe up and spun him through air until he struck his head on the gunwales. He has slipped and fallen on a portage, striking his head on a rock and spinning into the water. He has died by suicide in a black mood brought on by bipolar disorder. He has stumbled while attempting to pee from a wobbly canoe. And, of course, the official report of accidental drowning, which few believe, could still be right. Just consider for a moment what is known and what is not known 101 years after the painter’s body rose to the surface in Canoe Lake. The police in essence, were being handed a Rubik’s Cube of confusion and intrigue assembled by a long list of amateur investigators. Little wonder the story so fascinates Canadians. It is not just the painter’s majestic, brilliant art, but his unknown end. At a heavy-drinking party the night before the 39-year-old painter went missing, Thomson had argued with local cottager Martin Blecher. Blecher was an American of German descent from Buffalo, N.Y., and the United States was not in the war. Ranger Robinson the ranger believed he might be a German spy. Thomson’s empty canoe was supposedly spotted overturned the following afternoon; yet, no one bothered to check on it. The supplies he supposedly set out with were never found, nor was his favourite paddle. A doctor who checked the body after it surfaced found no air in the lungs, fishing line wrapped around his leg and, he recorded, a wound to the right temple. Robinson in his journal noted the wound was to the left temple. The police were never notified. The park superintendent at the time declared himself ex officio coroner, concluded it had been death by accidental drowning, and signed the death certificate so that Thomson’s friends could have the body embalmed and buried in the little cemetery at Canoe Lake. When coroner A.E. Ranney arrived from North Bay, there was no body to examine. Following a half-hearted inquiry held at the Blecher cottage, he signed a burial certificate and took the first train out. Another undertaker arrived from nearby Huntsville to exhume the body on behalf the Thomson family. He worked at night, alone, and in the morning was at the train station with a sealed steel casket, as train transportation required. The new casket was buried in the Thomson family lot at Leith, Ont., without anyone seeing the body (although decades later it was claimed they had). Robinson, for one, believed the Huntsville undertaker could not possibly have exhumed the body on his own and that Thomson remained buried at Canoe Lake. In the fall of 1956, four men, including William Little, dug in the tiny cemetery and found human remains in a deteriorating wooden casket. The skull had a hole in the left temple. It was briefly believed the burial mystery had been solved. They were certain they had found Tom Thomson. 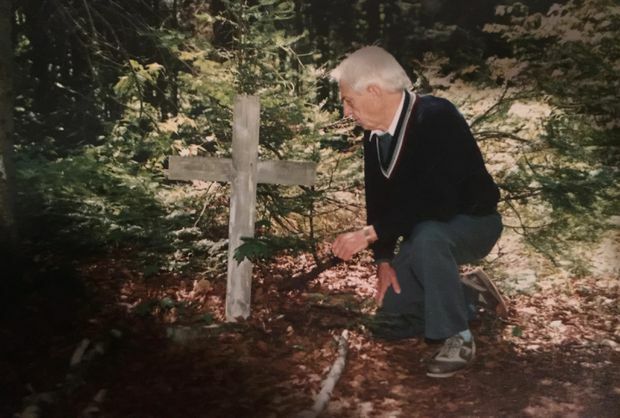 In 1956, William Little helped discover an unmarked grave, which many people believe contains the body of Tom Thomson. 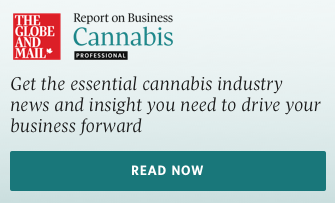 The Ontario attorney-general then said scientists had determined the remains belonged to an aboriginal male, much younger and shorter than Thomson had been. The hole in the skull was not from a blow or bullet, but was a medical procedure called trephination to relieve pressure on the brain. None of the men who dug up the remains believed this official report; they felt it was a whitewash intended to prevent additional pain to the much-respected Thomson family. But there was so much more to this puzzle. Local gossip initially had the painter dying by suicide, something his friends – some of whom would go on to form the Group of Seven – denied vehemently. Local gossip also had him engaged to a Canoe Lake cottager, Winnifred Trainor of Huntsville, who had apparently been pressing him on marriage. Her long disappearance over the winter – she and her mother staying with “friends” in Philadelphia – led some to believe she had been left with child that she had given up for adoption. John Little was essentially born into this story. Now 57, a writer, editor and the owner of Nautilus North fitness centre in nearby Bracebridge, his earliest recollections are of tromping around Canoe Lake with his father as the elder Little talked to old-timers about what they thought had happened to the painter, and subsequently to his body. John Little, the author of Who Killed Tom Thomson? and the son of William Little, grew up immersed in the mystery of the painter's death. William Little came to the conclusion, in his 1970 book, that Thomson had been murdered by Blecher. The two had argued the day before. Blecher had once swung a paddle at another Canoe Lake local and some, like Robinson, thought the wound to the temple looked like it had been caused by the blade of a paddle. Later on in the 1970s, Daphne Crombie who, with her husband, had spent time in the same Mowat Lodge where Thomson stayed, came forward with a startling new version of events. It was hearsay – quickly dismissed by many – but fascinating to those caught up in the mystery. She claimed, in both a park archival interview and in a magazine interview, that the man who killed Tom Thomson was Shannon Fraser, proprietor of the lodge. Crombie claimed Shannon’s wife, Annie, told her she had seen letters in the painter’s room from Winnie Trainor imploring him to get a new suit because marriage was now a necessity. Her husband and the painter fought over money, apparently, and Annie Fraser said that Thomson fell into the fire grate after being struck by Shannon. She had helped her husband take the body out onto the lake under cover of dark, tie a weight to his leg and then dump the canoe. John Little spent considerable time trying to prove his father’s theory that Thomson had been murdered. The initial suspect, of course, had been Blecher, but both Littles came to believe that Shannon Fraser had to be considered, as well, especially as Annie repeated her “confession” to a Huntsville family much later in her life. The younger Little was told in a late-night phone call that the nephew from New York State who had inherited all of Winnifred Trainor’s property – including a dozen or more Tom Thomson originals – was, in fact, her rumoured child. He was convinced this had to be true, only to discover, as so often happens in this convoluted tale, the “fact” did not survive closer scrutiny. The nephew, still living, was born years after 1917-18. The younger Little also inherited from his father a romantic vision of the painter as a charming “stand-up guy.” When he began interviewing the few old people who had actually been around Algonquin Park in 1917, he found this was not everyone’s opinion. Bice subscribed to the official conclusion of accidental drowning. He even saw merit in the theory put forward by David Silcox and Harold Town in their 1977 book, Tom Thomson: The Silence and the Storm, that the painter had risen in his canoe to relieve himself, stumbled, struck his head and fell overboard. 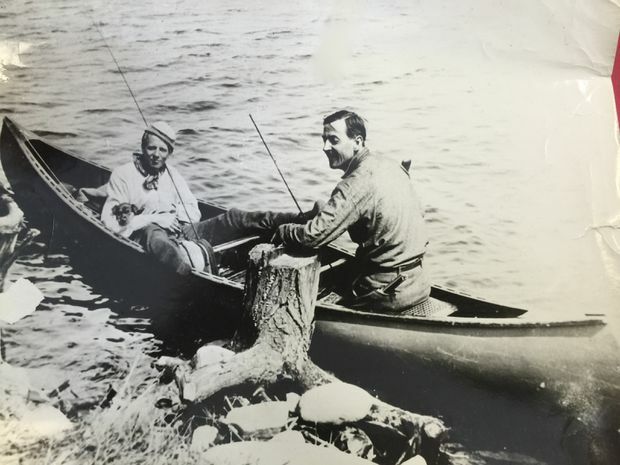 Tom Thomson, right, in his canoe with future Group of Seven member Arthur Lismer, circa 1914. John Little believed, as others have, that if a DNA analysis could be done on the bones at Canoe Lake, it might rule out the possibility that the remains belonged to an aboriginal man. In 2005, he approached Pikwakanagan First Nation at Golden Lake, whose traditional territory includes Algonquin Park, and they pointed out that the remains unearthed in 1956 at Canoe Lake had not been buried in any of their traditions. They agreed to petition the Ontario government to exhume the bones so they could, if indeed the remains were Indigenous, re-bury the bones under Algonquin custom. The government would not agree to this. As the years passed, Little’s research became as voluminous as his father’s decades-long collection of material. The question now was what to do with it? John Little’s key contribution to this ever-spinning tale was to bring in qualified investigators as “consultants.” One of his Bracebridge neighbours happened to be a retired Ontario Provincial Police detective, Dan Mulligan, a 34-year police veteran who had led dozens of suicide and sudden-death investigations, as well as multiple homicide examinations. Mulligan was able to connect Little to another ex-detective, Scott Thomson of Barrie, Ont, a 33-year veteran who served as detective inspector for Major Case Manager Criminal Investigations from 2008 to 2012. Their conclusions? Far too detailed to go into here in depth, but essentially this: no suicide, definitely foul play by blunt force trauma. As for who exactly did this foul deed, it would be unfair to give away too much, but both detectives believe that, had there been a proper police investigations, there would have been charges laid. 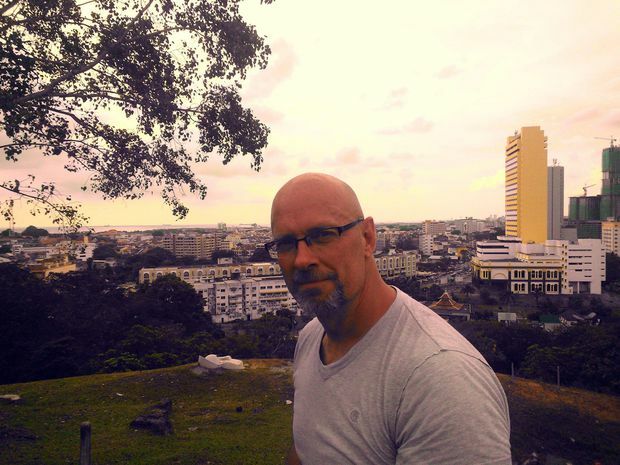 As for John Little, he says: “I kind of feel like Socrates, in that all I know is that I know nothing.